The highlight of today (Saturday) was the Reba McIntyre Performance at the band shell. She’s as animated as ever and her voice is still strong, and beautiful. Wow! Her opening act was a fifteen year girl named Caroline Cole who is definitely on her way to stardom. The weather all day was perfect. We are now waiting for the fireworks to begin. 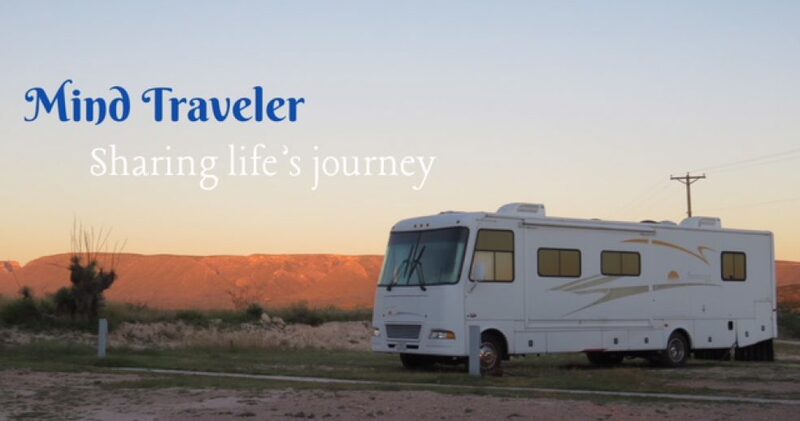 They said that they will be visible from every camping area, which is hard to believe since there are acres of RVs, not only in the Fair Grounds, but along both sides of two adjoining highways! We discovered that when we took a trip a few miles down the road to the local Home Depot for a few maintenance supplies. Before claiming seats to see Reba, we spent two hours at the Cattle Barn, waiting for my name to be drawn for one of the fabulous prizes, which included TVs, GPSs, Bicycles, grills and even a couple of trips. None were meant to be mine, not even a Good Sam doll or cap. Oh well, we don’t have room for much more in here anyway. A new back up camera would have been nice though. Tomorrow it all will end with the last chance to pick up any items we might have missed in the vendor hall, and to tour and drool over the new RVs. A concert by the Vogues is scheduled for the afternoon, weather permitting. The forecast is uncertain and really, we’ve already had two nice days in a row! What more can we expect? 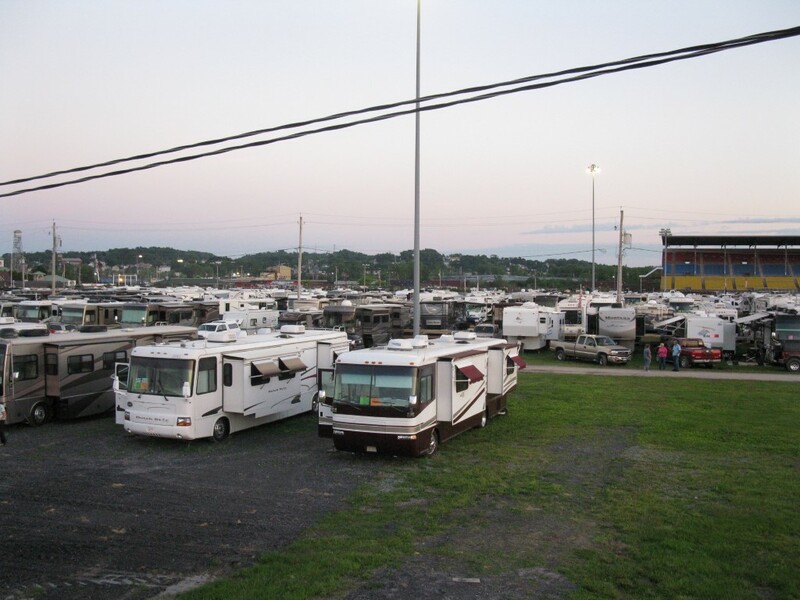 It will be interesting to see how all these hundreds and hundreds of RVs will get out onto the roads by noon on Monday. We will be among them, off to places as yet unknown. 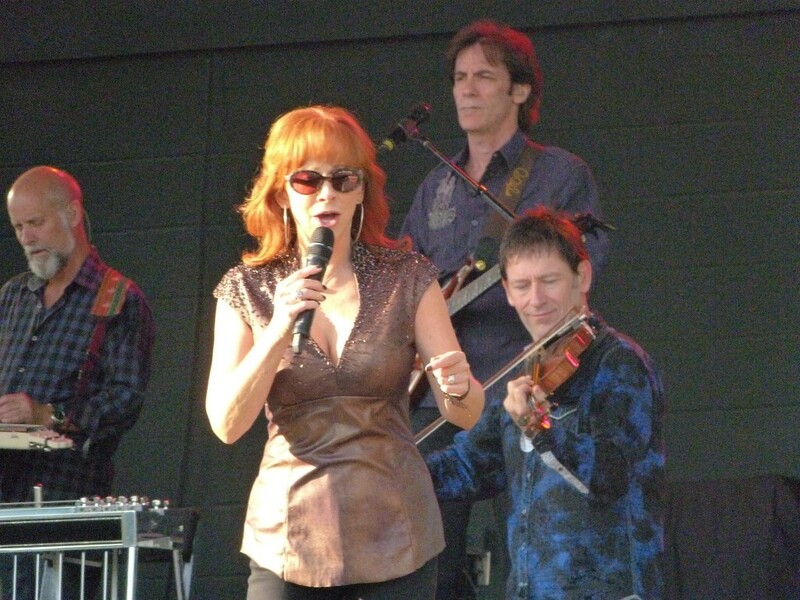 This entry was posted in Motorcycling, RV Travel, Travel and tagged Good Sam RV Rally, NY, Reba McIntyre, Syracuse. Bookmark the permalink. I typed a reply but somehow it all flew away into cyber space. Anyway, I enjoyed reading about your latest adventure. Judy, you have a relaxed way to portray the events so one feels like one is thee. Time spent with like-minded participants is so satisfying. Wow sounds like you had exciting two days, I wish I could have seen Reba sing we love her in our family. Looking forward to your next adventure. Have a fab day!